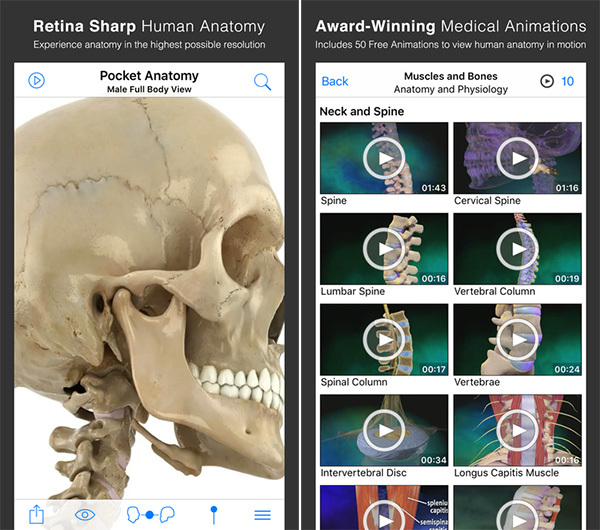 If you’ve ever been interested in the human body but don’t have access to the reading materials required to learn up on the subject, then you might want to check out Pocket Anatomy – Interactive 3D Human Anatomy and Physiology. The app is highly rated and certainly looks the business to laymen like me, and there has never been a better time to download the app than right now. 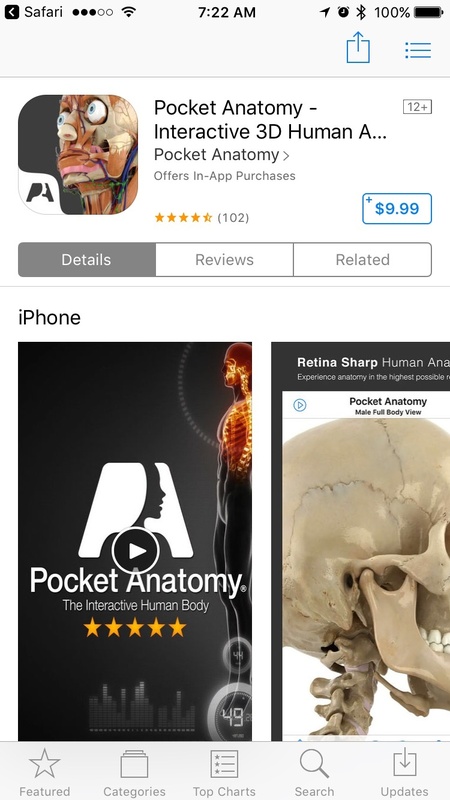 Pocket Anatomy usually costs $15 to download from the App Store, bur right now it won’t cost you a penny. That’s a lot of app, and a lot of learning for no outlay at all! 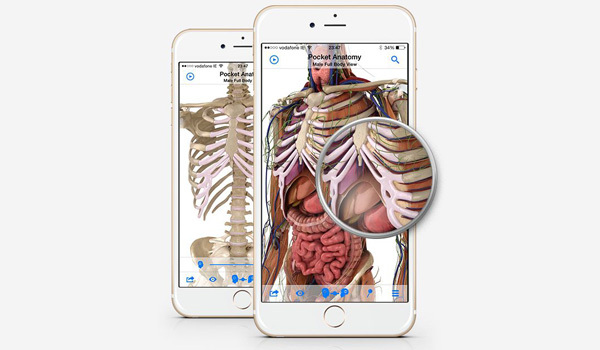 Our medically accurate, male and female anatomical content is packed with over 100,000 words of learning content as well as 1000s of award-winning medical animations, so now you really do have the entire human body in the palm of your hand. I won’t pretend to know the vast majority of what is locked away in this app, but considering the current offer and the fact it never hurts to learn more about the bodies we inhabit, I think now would be a great time to scrub up on what’s going on inside our bodies. With this app, there’s plenty to check out, with animations and some gorgeous imagery to behold. Just look at all those fancy sounding words! Download Pocket Anatomy from the App Store for free today before someone comes to their senses and bumps it back up to the not-at-all-expensive $15 it was previously! iOS 10.2.1 Beta 4: What Are The Changes? It’s not free anymore. It’s 9.99! Not free. $9.99 here too. And it’s only 1:15 am on the 13th. $9.99, assholes. It’s called fact-checking. What I don’t get it, we tell them in the comments that it’s not free, that they’ve made a mistake, and they still leave the damn article up. Idiots. Guys, it’s not a faulty post. This app was free and I downloaded it. But there’s a catch though, you can only download 30 videos out of 600 instructional/educational videos. Hey douche. Nobody wants to give hand jobs for cash even though you and your wife seem to be so successful at it.